Lucille Amos Love this pattern. AnnaGrethe Justesen Is there a pattern for that one? Louise Powers Makes me think of Kiwis. Paulett Baker Look at how much fun the quilter had making that. I would have a blast with this one. Bonnie Henne Hausler Outstanding !! 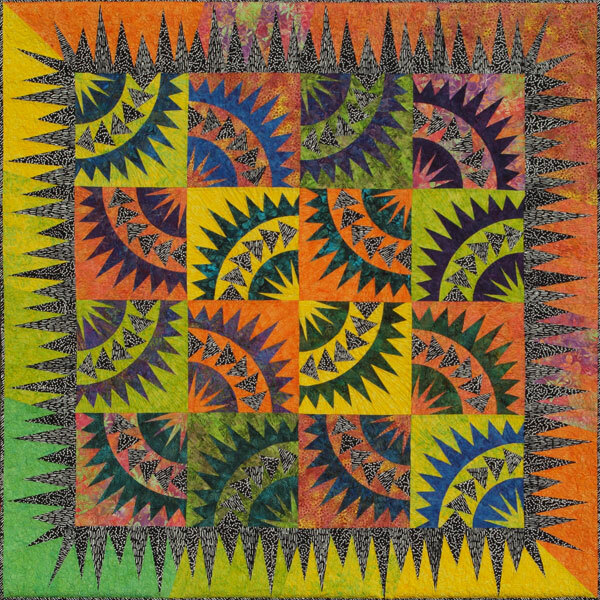 Dancing Batiks, designed by Quiltworx.com, made by Linda Bevins. 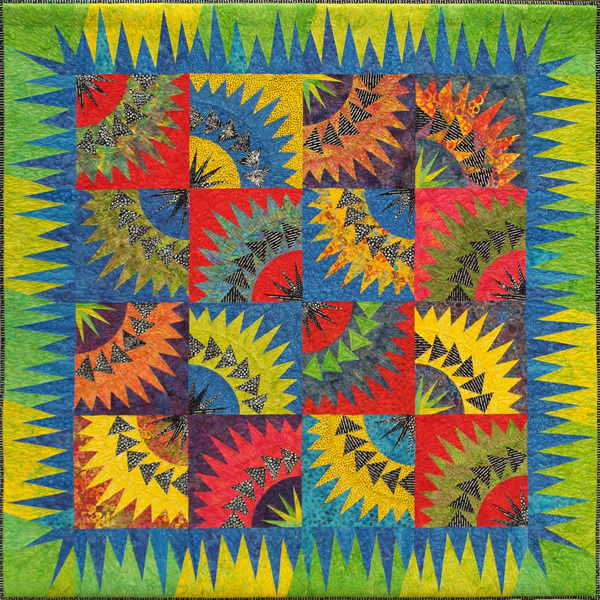 “Square Dance” won a yellow ribbon at the Vermont Quilt Festival. Janet Spinks I now want to stitch this quilt! So inspiring! Gail Lansdowne I love this quilt made by my dear school friend just gorgeous. Dancing Batiks, Quiltworx.com, Made by Betty Quinlan. Carrie Schenck Kelsey Dog tested! Nice work. Kaye Winalis Quilt inspector is one the job.